Manufactured from injection moulded plastic and anodised aluminium frame can be collapsed quickly and easily with one hand operation. 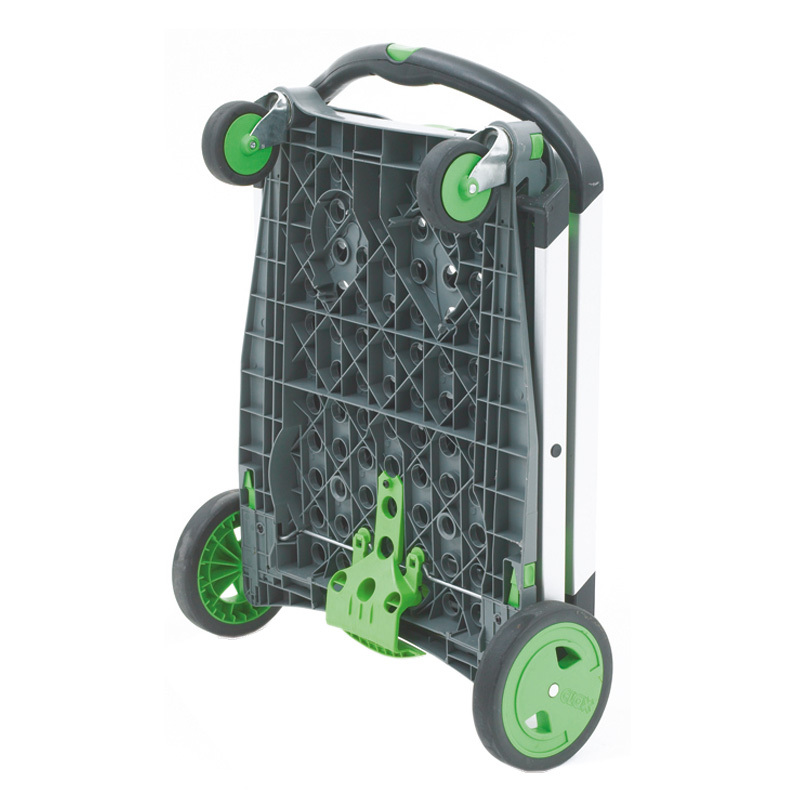 Available to order on short delivery times, the plastic/aluminium folding trolley with box & tray 60kg cap is a highly functional product. 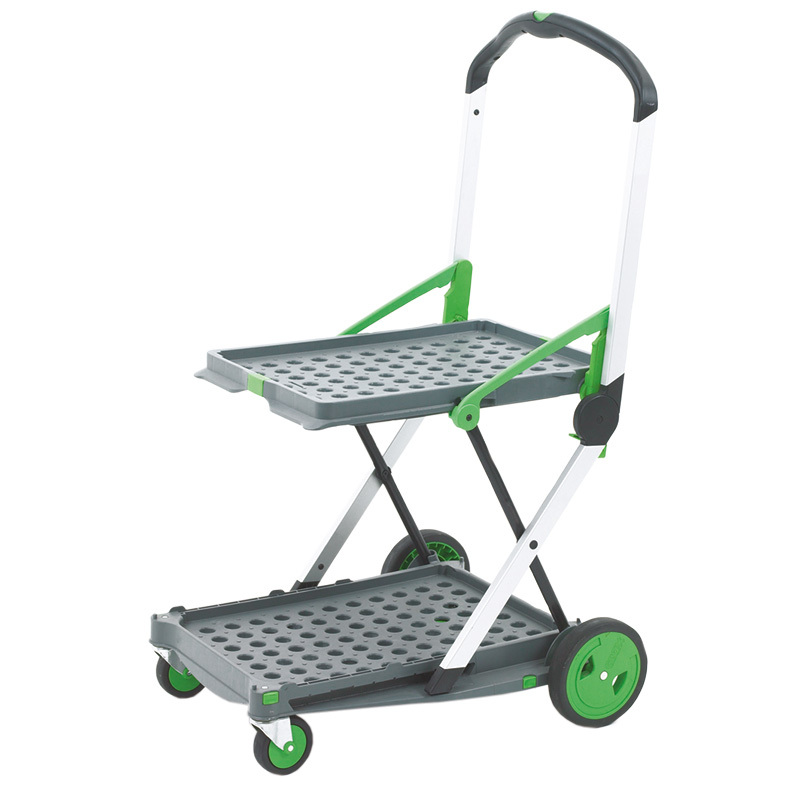 The trolleys are manufactured using injected moulded plastic to ensure the strongest possible finish and are supplied with an anodised aluminium frame for additional robustness. The frame can be collapsed easily and quickly using just one hand, making this trolley a very useful product where space is limited. The addition of a folding box adds to its functionality, while the upper tray of the trolley has hinges so that bulky items can be stored on the lower tray alone. The plastic/aluminium folding trolley with box & tray 60kg cap has many potential uses, while its light weight; the trolley and box weigh a total of only 7kg, making it easy to move around. 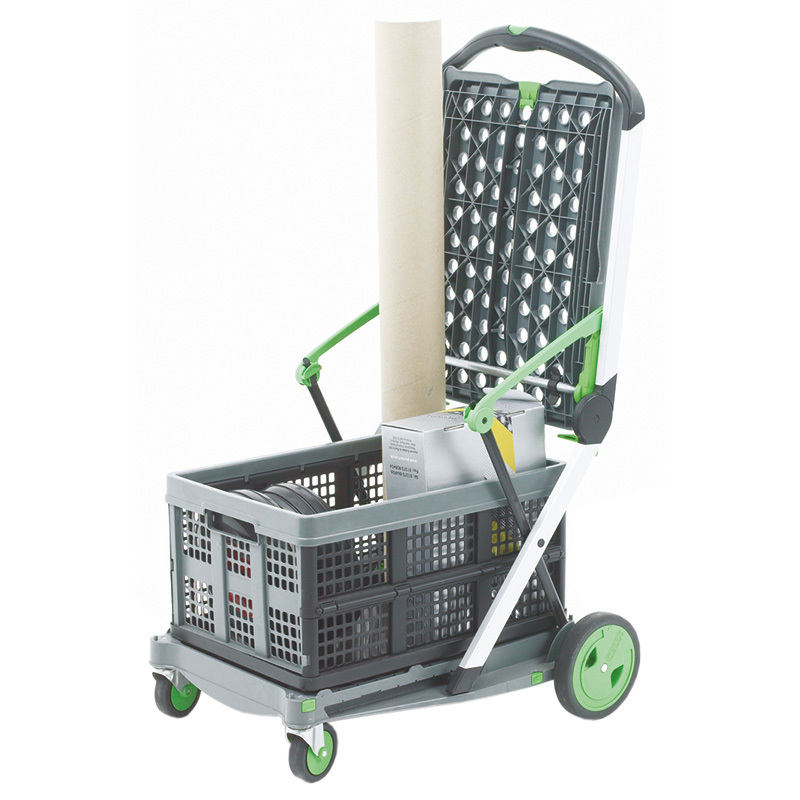 In addition to providing these trolleys for use by their staff, some retail outlets might find it advantageous to make them available to their customers. For example, DIY stores or garden centres selling products that are heavy or bulky might wish to provide them alongside the more traditional type of shopping trolley. The overall dimensions of the trolley, are 1030mm high x 550mm wide x 890mm long, make it very easy to store. If storage space is particularly limited, the wheels can be unclipped and attached to the base, making the trolley even more compact. 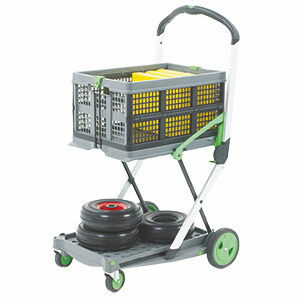 These trolleys have been manufactured to meet the European GS Standard. 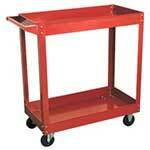 E359286 - The trolly is perfect for transporting our merchandise and leaflets to events around campus. 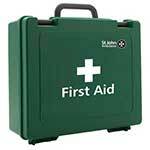 E359286 - Very useful to a partially-disabled elderly person. The only trolley I could find with the box to hold items at a height which does not require bending and lifting. 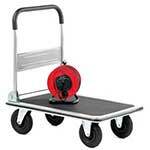 GC051Y - Use to move equipment & heavy articles about. Tell other depts. Product excellent value.